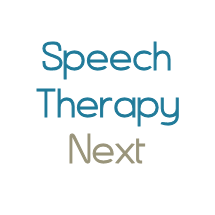 Providing speech therapy services in Woodhaven, MI. We search Trenton, Flat Rock, Grosse Ile, Gibraltar, Flat Rock, Riverview, Taylor, Lincoln Park and more. Certified speech language pathologists through ASHA and registered with the State of MI. Evaluations, individual assessments and progress tracking for every client. Detroit Speech Therapy provides in-home pediatric speech-language pathology services. We provide evaluation and treatment to children with a variety of diagnoses including apraxia, autism, articulation disorders, language disorders, and dyslexia. Let us come to your home and save you the hassle of dealing with traffic! Birmingham Speech and Language, PLLC. Tara Karebian is a speech-language pathologist in Birmingham, MI. Practice Type: • School Practice Areas: • Speech Language Pathology Take the next step and contact Tara Karebian for a consultation in Birmingham, MI or to get more information. Jenni Winstanley is a speech-language pathologist in Canton, MI. Practice Type: • Home Health Agency - Client's Home Practice Areas: • Speech Language Pathology • Aphasia • SLP developmental disabilities • Speech Therapy Take the next step and contact Jenni Winstanley for a consultation in Canton, MI or to get more information. Arreola de la Fuente is a speech-language pathologist in Detroit, MI. Practice Type: • Home Health Agency - Client's Home Practice Areas: • Speech Language Pathology • Speech Therapy Take the next step and contact Arreola de la Fuente for a consultation in Detroit, MI or to get more information.